Decided to close DJI30 short @ 18169 with +27 points. DJI30 short: Risk lowered. 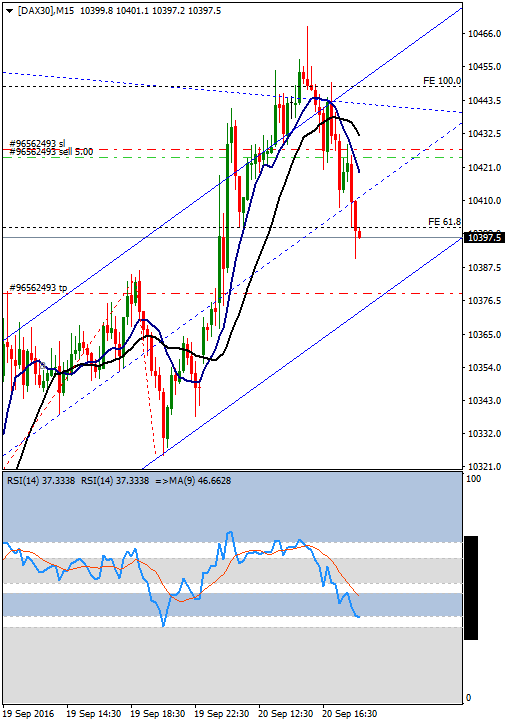 SL @ 18185. DAX30 short: Risk lowered. 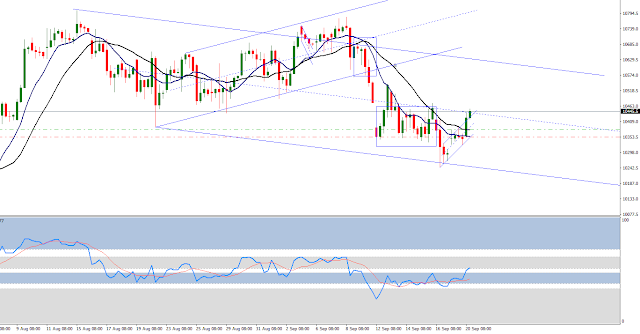 SL @ 10400. Put trailing stops on both. DJI30 short: Risk lowered. 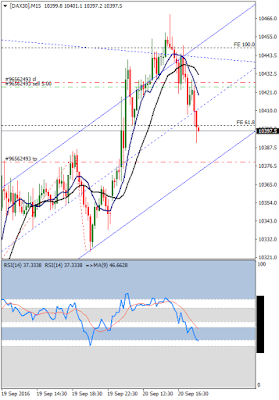 SL @ 18190. DAX30 short: Risk lowered. 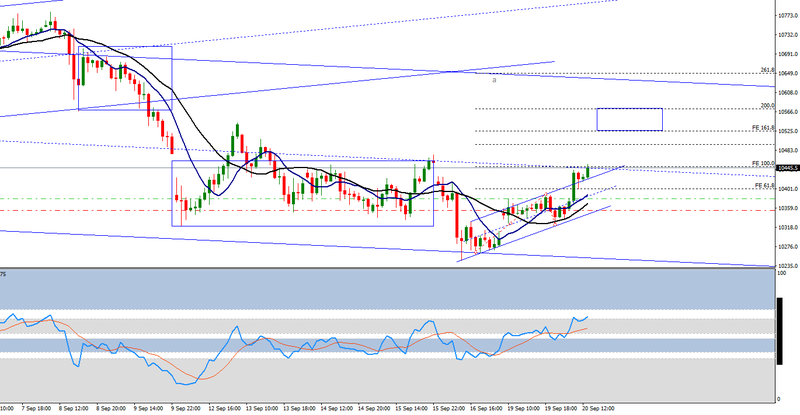 SL @ 10404. DJI30 short: Risk lowered. SL @ 18200. DAX30 short opened: EP@10424; SL@10426 (originally@10448); TP@10379. Risk lowered. SL @ 18205. Risk lowered. SL @ 18240. DAX long stopped out @ 10426 with +47 points. I opened a dax long. The RSI on the hourly chart made 2 bullish momentum configuration: a nice hook and a "W" shape. The price risen above the MA10/20 channel on the 4 hour chart, which was crucial for me before opening a long with an intraday TP. My original SL was the low of the reversal candle on the 4 hours chart. Now I raised to the low of the momentum candle. The price is now at the top of the smallest parallel channel. For a bullish continuation a break of this channel would be good, but at least the price should stick to this upper line.